As I mentioned last post, I've come to a discovery about myself and my creative process: I have to work on things in cycles. I have an idea for a book, or project, or series of poorly animated cartoons, and I work on whatever it is obsessively until I compete the project or run out of steam, whichever comes first. Last post, I mentioned that I was going to finish revising my novel Blood Cries, but something has come up that has caused me to alter that decision. I will share more on that momentarily. But first it occurred to me that different people might visit this site for different reasons, and I thought it might be helpful to clarify what it is I do around here. If we haven't met formally, allow me to introduce myself. I consider myself first and foremost a writer. I write fiction, humor, and, of course, short, poorly animated cartoons. I sometimes publish my fiction under the name Christamar Varicella, though I might publish the novel Blood Cries under the name Chris Hope. I'll let you know. Visitors to this blog will find three main categories of material. 1) Cartoons. Chances are, you arrived at this blog from my Youtube channel, Poorly Animated Presents: Little Donald and Friends. If you scroll back through the last 20 or 30 posts, you will find lots of cartoons making fun of Donald Trump. Thank you to those who have encouraged me to continue making these things (special shoutout to Jim Smith), and I promise I will get back to them as soon as I can. 2) Harper Lee-related material and excerpts from the novel Blood Cries. 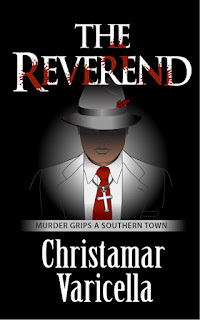 As many of you know, I have spent a good bit of time working on two books based on a series of murders that took place in Alexander City, Alabama in the seventies. 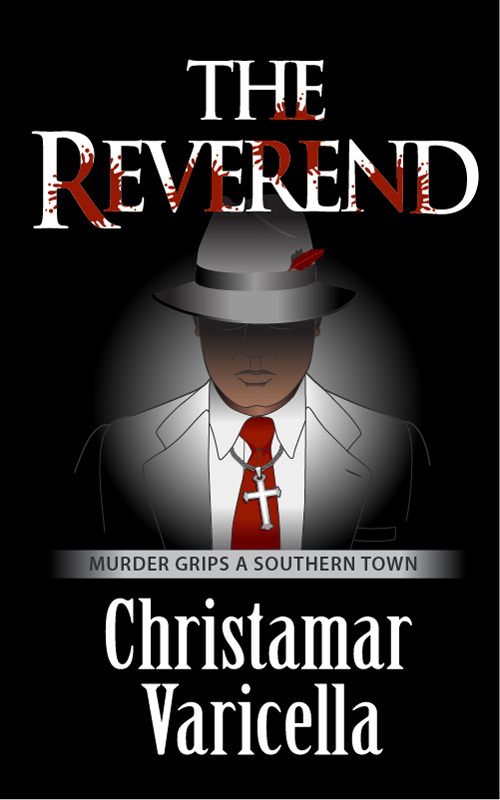 In 2012, I self-published a novel called the The Reverend. Then, two years ago, I came up another way to treat the same source material, and I'm now several drafts into it. Beyond the cartoons, you will find the entire first draft (warning, it's pretty rough) along with a lot of material related to that book and about Harper Lee who, at one time, intended to write a book on the subject. 3) Humor. Going back to my earliest posts in 2009 (The blog actually went back farther, but I deleted the earliest posts for reasons that no longer make sense to me) you will find a lot of silly posts, some of which I used to publish a British humour site called thespoof.com. 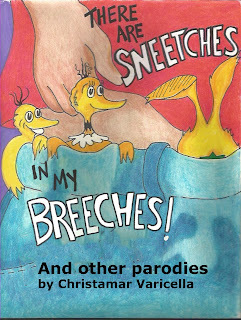 There is quite a bit of absurdist-style comedy and satirical material that was eventually collected and published under the title There Are Sneetches In My Breeches: And Other Parodies. The book is composed mostly of fake book reviews and silly open letters to famous authors, as well as the Sci Fi parody/Liberal revenge fantasy Dinosaur Ghost (which can be downloaded here for free) and the romance parody The Oiliest Secret. And that's pretty much it. There are, I think, still links in the side bar to some of my early short stories that have been published in lit journals and around the web. Among them is a story first published in 2007 in the now defunct Minnetonka Review. It is called The Blue Whale. Which brings me to what I'm up to these days. The idea for a novel called Dashboard Hula has been percolating in my brain since 1996 or so. 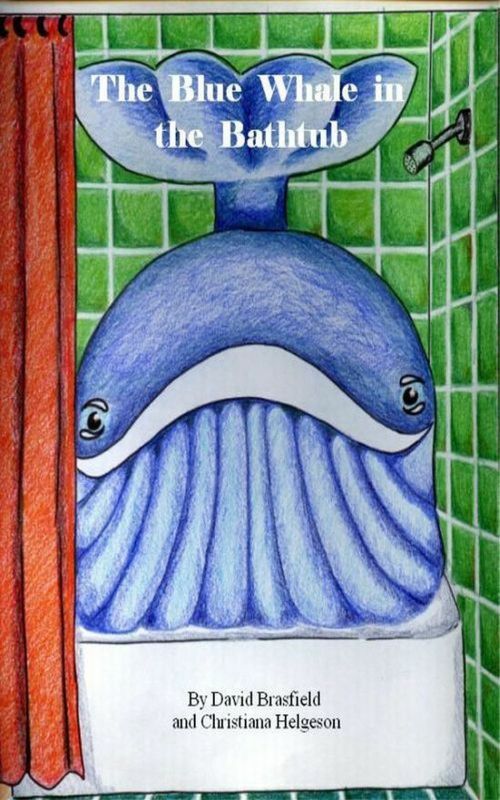 "The Blue Whale" (published as "The Blue Whale in the Bathtub") was supposed to be an excerpt from that novel. Only I could never get a handle on it. It was just too big for me to deal with, and it always ended up as a bunch of disparate pieces that could never seem to hang together. Every year, I work on that book, and every year I put it back in the drawer after I try and fail to make it work. Then, about two-and-a-half weeks ago, just after deciding I needed a break from making cartoons, I came on a sudden bit of inspiration. Rather than attacking the novel as a whole, I found a portal into one little part of the novel, the part called "The Blue Whale." I found the narrative thread I need to follow and hopefully complete that particular section. It looks as if it will become the first of a series of three novellas that will eventually constitute the novel Dashboard Hula, or else each section will balloon into a full-blown novel, at which point Hula will become a series. I will let you know when I know. Meanwhile, I'm planning to have Blood Cries workshopped through my writing group. All that said, at the end of this draft, I fully expect to get back into cartoon mode. Like I said, these things run in cycles.